"When you want to stand and stuff, this cheater's fudge is great." Place chocolate chips in a small, shallow microwave safe container. Microwave on high for 2 minutes. Stir and add margarine. Heat again on high for 1 minute, or until melted; stir. The melted chocolate will be stiff. 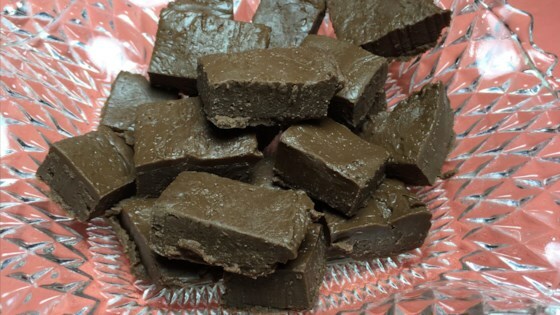 See how to make simple old-fashioned chocolate fudge. Disgusting. Don't waste your ingredients on this. kinda like a big candy bar, but not fudge. uggh. are there suposed to be white lumps in this?